The notation ‘[DP]’ in a rule in the NoR means that the penalty for a breach of that rule may, at the discretion of the protest committee, be less than disqualification. 1.1. The regatta will be governed by the rules as defined in The Racing Rules of Sailing, including Appendix D, Team Racing Rules. The sailing instructions will describe changes to the rules. – Modifying RRS Race Signals, when the RC displays an “AP” flag in land, 1 minute is replace by 60 minutes. – Modifying RRS Preamble Part 4 when “Y” flag at the RC boat, all participants shall wear personal flotation devices all time while they are on water, except briefly while changing or adjusting clothing or personal equipment. 1.5. If there is a conflict between languages the English text will take precedence. J70 boats will be provided. 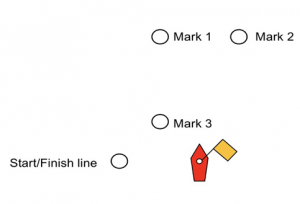 Class Rule C.3 is modified so that all competitors, including the owner/driver, shall provide proof of a valid World Sailing Group 1 classification at the time of registration. Competitor advertising will be restricted by WS regulation 20 and Class Rules. Boats shall be required to display advertising chosen and supplied by the organizing authority. If this rule is broken, World Sailing Regulation 20.9.2 applies. 3.1. Each competing team shall consist of skippers and crew for three boats with a minimum of three sailors per boat. 3.2. Participants must be mixed-gender crews consisting entirely of members, associate-members, members-spouses, members-husbands, and members-offspring, or participants in the Club Academy that they represent. 3.3. Substitutions are not permitted without prior approval of the OA. 3.4. Entry list shall be received by 1st of November 2018 along with the TBD insurance fee. 4.1. The regatta is open to 3 teams of the RYS and 3 teams of the YCA. 4.2. Each club will send the list of the participant teams. 4.3. Entry list shall be received by 1st of November 2018 along with the deposit fee. It is a Team Race with an Invitational Fleet Race. Both Score separately. J70 boats for the guests will be provided by the YCA. Argentinean teams will use their own boats. All 6 boats shall use the new sails provided by the YCA. Team Race: 22 Races. Up to 8 races per day. 6.2. On the last scheduled day of team racing no warning signal will be made after 16hs. The sailing instructions will be available after the 1st of December on the website of both clubs. The Sailing instructions of the YCA- Only members and guests Fleet Race will be available on the accreditation. 8.2. Attachment B shows the location of the racing areas. 9.3. The course will be pointed with the Pennant 1,2,3 or 4. 9.4. All marks should be leave by starboard. 10.1. Appendix D will apply. 11.1. Appendix D will apply. 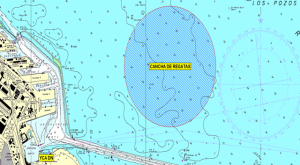 For fleet race low points system will apply, and other boats registered on the fleet race will not be consider. Support boats shall be marked with National flags. Boats shall be kept in the assigned place while they are in the harbor. Except in an emergency, a boat that is racing shall not make a voice or data transmission and shall not receive voice or data communication that is not available to all boats. The clubs shall compete for the “The Magellan Cup”. The cup shall be perpetual and in the name of the RYS. The winning team and club shall be engraved thereon. The YCA will stablish the historical cup “TBD”. This perpetual cup will be hold by this Club with winning team and club engraved. All skippers will be required to provide a $2000 damage deposit prior to the start of racing by providing credit card information or YCA member number at registration. The deposit is a per-incident maximum and includes damage to boats or race committee or other OA vessels. If a skipper has more than one incident, he or she is then liable for up to $2000 for each individual incident. The OA may require the damage deposit to be restored to its original amount before a team will be permitted to continue racing. Skippers should be aware that while the Team Race Representative or Waterfront Staff will attempt to identify all damage at the post-regatta inspection, often this is not possible due to the nature of the damage. The skipper is responsible for all damage, even if it is discovered only after the post regatta report is completed and signed. All skippers will be required to pay TBD for boats insurance.